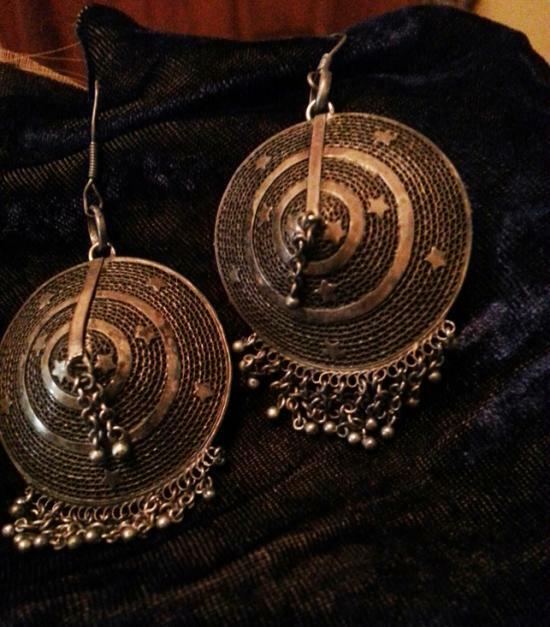 Antique Silver Tribal Fringed Gypsy Earrings — Without being really sure what these earrings are, I can say that they are unlike any other "gypsy" or "tribal" earrings I've ever come across. They're intricate and exotic..the silver mesh set into three concentric circles to form a cup shape that is sprinkled with tiny delicate silver stars and the softest little chain fringe. They're dark and I haven't polished them because they feel and look so beautiful like this, but they would polish beautifully if you prefer. These earrings are dramatic and powerful without being overwhelming...exotic without being costume-y and gypsy without being shiny hoops..the real thing, in other words. 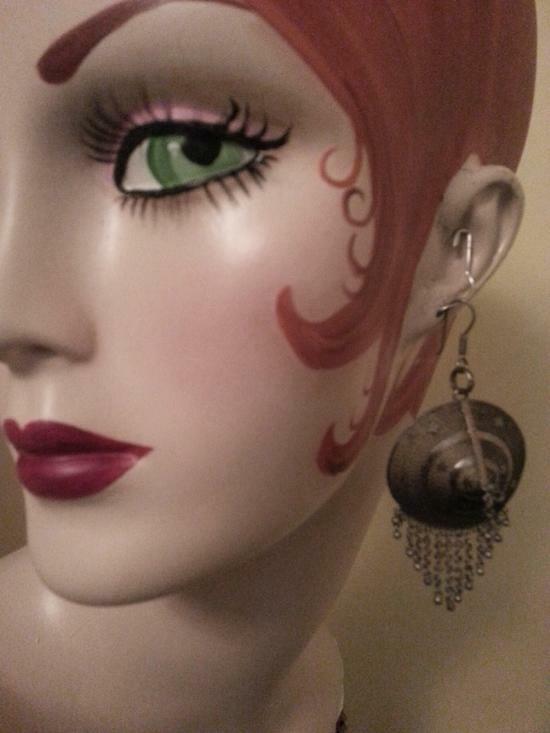 The earrings measure 1.5 inch diameter for the disk and the longest part of the fringe is 1/5 an inch. 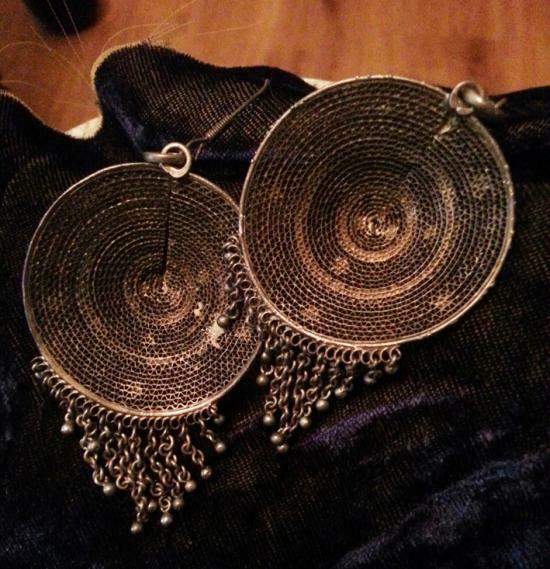 These earrings are really special and not likely to be found again, if you pass them up this time!